TUESDAY, 10 OCTOBER 2017 will go down as one of the greatest days in the history of Panama, not just Panamian football. 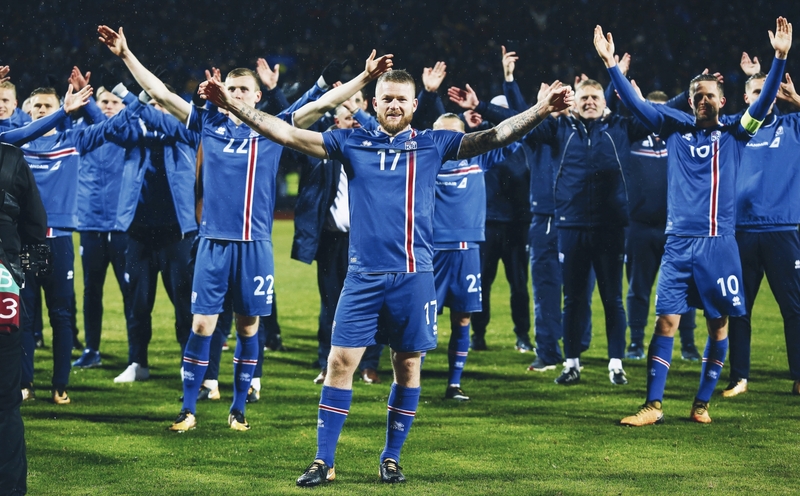 That was the day the national team achieved something that had previously looked nigh-on impossible – they qualified for the World Cup for the first time. In a football-mad country, president Juan Carlos Valera immediately declared the day a national holiday – the whole country was in party mode. Panama is famous for its banana production and the Panama Canal, and this huge achievement was the fruit of many years of labour. Panama have been competing internationally for a long time. Having won the 1951 CCCF Championship, a tournament for nations from Central America and the Caribbean that ran between 1941 and 1961, it is perhaps surprising that Panama did not enter a World Cup qualification until the 1974 edition. They did, however, enter the CONCACAF Championship in 1963. Despite a thumping 5-0 victory over Nicaragua in their final group game, Los Canaleros finished behind Honduras and El Salvador In their group and made a swift exit from the competition. Perhaps discouraged by their early exit, Panama never entered the tournament again – with it being abolished in 1989. It was a similar story in World Cup qualification. When, ahead of the 1974 World Cup, they finally decided to enter, bigger, more powerful nations aside swept them. This trend continued for qualification campaign after qualification campaign. How could a nation of three million people even begin to hope to compete against the might of Mexico or the United States? Panama had very few stand-out players in the 20th century. There was Luis Ernesto Tapia, known as “the Central American Pelé”, the man who scored Panama’s first goal in World Cup qualification and played for some of the top teams in El Salvador. There was also Victor René Mendieta, who played for several clubs in Liga MX in the 1980s and 90 and went on to manage the national team. The truth is, though, that Panama did little to set the footballing world alight in the 20 century. That 1951 CCCF Championship, a third-place finish in the 1993 Copa Centroamericana, a few victories over slightly larger nations; that was about all the Panama national team amounted to before the turn of the century. A series of foreign managerial appointments at the beginning of the century began to change that. In 2001, Romanian manager Mihai Stoichiţă was appointed but was said to be disappointed with the facilities and made a swift return to Eastern Europe to manage Moldovan side Sheriff Tiraspol. Stoichiţă had set the European professionalism ball rolling, though, and his replacement, Englishman Billy Stenning, continued to make sure a solid structure was in place. Results were gradually improving, as were facilities. It was the appointment of José Eugenio Hernández in 2004 that really started to change things for Panama. Hernández had managed some of the biggest clubs in his native Colombia including Millonarios, Atlético Nacional and Deportivo Cali. He immediately set about changing things. 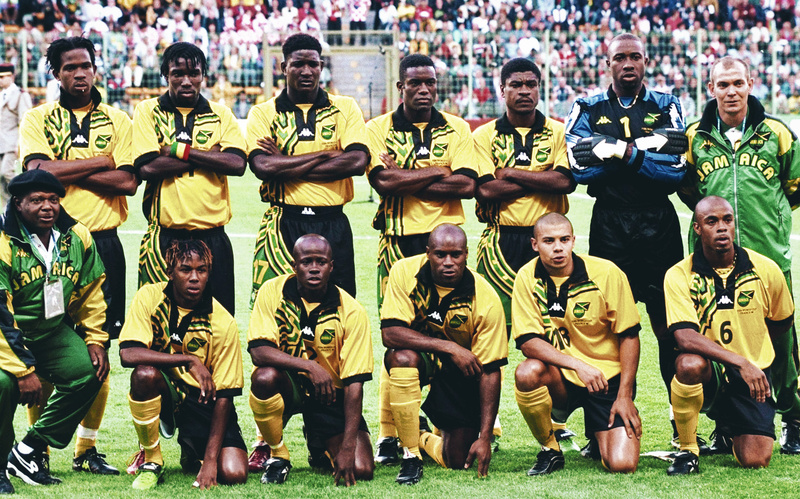 In 2005, under Hernández, Panama entered their second-ever Gold Cup, and their first in 12 years. What followed was one of the greatest, most under-reported shocks of that year. Having finished second in their group behind Honduras, Panama required penalties to beat South Africa – bizarrely allowed to compete in the 2005 edition – in the quarter-finals. A result that nobody expected, Panama were still completely written off in the build-up to their semi-final against South American heavyweights Colombia. But they were excellent once again, and defied the odds to win 3-2 and become the least likely nation ever to make it to a Gold Cup final. And boy did they come close to winning it. With the final being played at Giants Stadium in New Jersey, the same venue as their famous semi-final victory, Panama lined-up against the USA, who had the like of Landon Donovan, Clint Dempsey, Kasey Keller and DaMarcus Beasley in their ranks. Despite the attacking talent their much larger neighbour had at their disposal, Panama managed to hold for 0-0 – forcing the final into penalties. Unfortunately, nerves got the better of three of Panama’s four penalty takers and the USA avoided embarrassment in their own backyard. Striker Luis Tejada received the tournament’s Most Valuable Player award while Jaime Penedo was awarded Top Goalkeeper. Panama had put themselves on the football map. Hernández left to manage Costa Rican side Deportiva Alajuelense but the wheels had been set in motion. Panama now had a side that were far superior to any they had previously been able to put together and, despite a quarter-final exit from the 2007 Gold Cup, they reached the final of the Copa Centroamericana for the first time in the same year. In a painful repeat of the Gold Cup final experience, they were defeated by Costa Rica on penalties. Under the guidance of another English manager, Gary Stempel, Panama continued to improve. 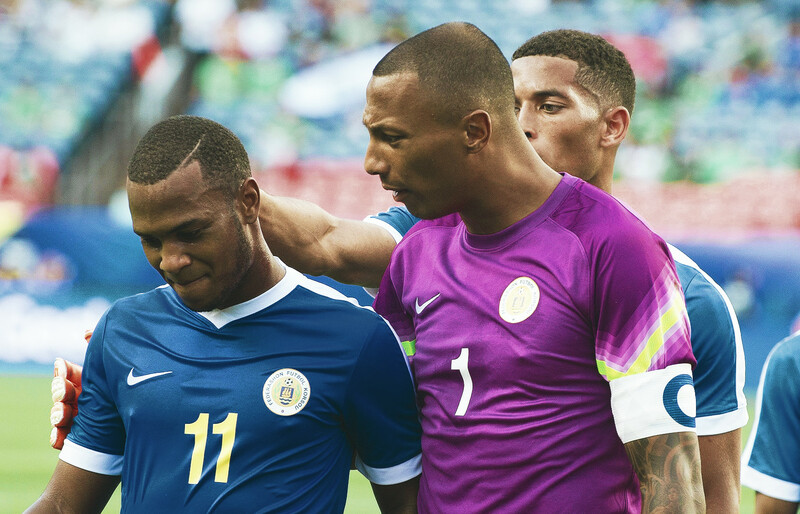 Stempel, who is half English and half Panamanian, set about bringing professionalism to the national team. In 2009, after another quarter-final exit in the Gold Cup, Panama won their first piece of silverware. Having narrowly defeated Honduras in the 1-0 in the semi-final of the Copa Centroamericana, Panama again faced Costa Rica in the final. Again, it went to penalties. But Panama had obviously been practising their spot-kicks in the meantime, as not a single one of their players missed. Finally, they were victorious. Panama were undoubtedly more of a force to be reckoned with in the Central American game now,;a semi-final appearance in the 2011 Gold Cup was followed by another runner-up finish in 2013. For the first time ever, Panama also looked in contention for World Cup qualification – after a flying start to qualifying for the 2014 edition. The promising form continued, only to fall at the final hurdle of qualification. Panama seemed destined never to go to the World Cup. Julio Dely Valdés, who was in his second spell as manager having been in charge for a few games in 2006, was unable to continue. The former Colombia, Ecuador and Guatemala boss Hernán Darío Gómez Jaramillo replaced him – a real coup for Panama. Finally, the federation had pushed the boat out and hired a top-level manager. The results were instantaneous. Panama entered the new World Cup campaign with real belief. Nobody expected them to qualify but after impressing in recent Gold Cups, Panama knew they could mix it with the best in the region. A win against Jamaica in the first game of the qualification campaign was followed by a defeat to Costa Rica and a disappointing draw with Haiti. Progress was happening, but slowly. But, unbeaten in all six of their qualifiers in 2016, Panama knew they had given themselves a real shot at the unthinkable: qualification for the World Cup. Six games without a win followed at the turn of the year, extinguishing those hopes. A Panamanian problem of old, a lack of consistency, had resurfaced. Trinidad and Tobago were dispatched 3-0 in September but Panama were duly thrashed 4-0 by the United States a month later. The morale could not have been much lower going into the deciding game against Costa Rica, quarter-finalists at the last World Cup. They knew that nothing less than a victory would suffice. Against a team that can boast Real Madrid’s first choice goalkeeper Keylor Navas and Real Betis’ Joel Campbell amongst its ranks, Los Canaleros were under the cosh for much of the game. The minutes were slipping away, the score was 1-1. As it stood, Honduras were going to the World Cup and the USA, who were surprisingly losing to Trinidad and Tobago, were playoff bound. Then came the greatest moment in the history of football in Panama. 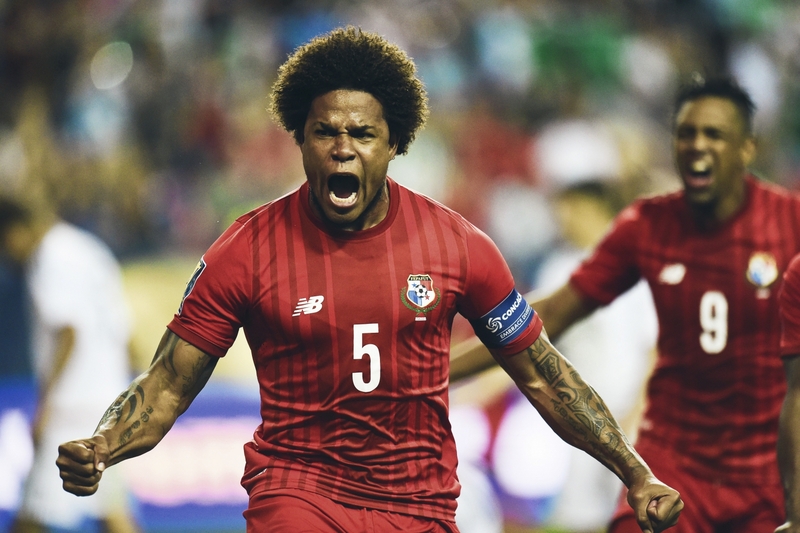 With just two minutes left on the clock, a ball came into the box, was flicked on, and, as time stood still, Román Torres was there to drive it past Costa Rica goalkeeper Patrick Pemberton. Cue pandemonium. Torres, who plays his club football in Major League Soccer for Seattle Sounders, would go down as one of the greats in Panamanian sporting history. National holiday declared, the party started straight away on the streets. This must go down as one of the great upsets of recent times. Panama, a nation of four million, qualifying at the expense of the United States – the most powerful nation in the world. So what threat do Panama pose to their three World Cup group stage opponents, England, Belgium and Algeria? The reality is that, despite being ranked 60 in the FIFA rankings at the time of qualifying and undoubtedly being one of the weaker teams at the tournament, Panama are not to be underestimated. MLS fans will know what ex-Vancouver Whitecaps and Dallas striker Blas Pérez is capable of, even at 37. They will also be familiar with goalkeeper Jaime Manuel Penedo, formerly of LA Galaxy and now of Dinamo Bucharest in Romania. Michael Murillo has looked impressive at right-back for New York Red Bulls, also in the MLS.